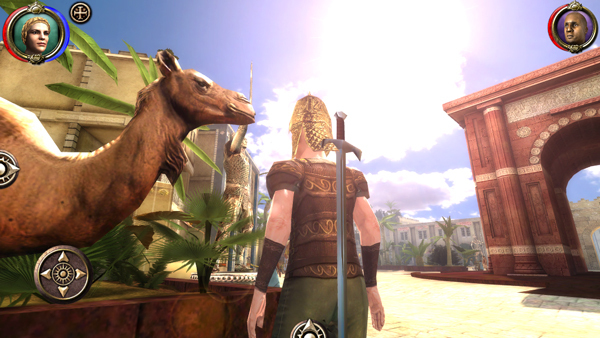 The Shadow Sun is an absolutely astoundingly beautiful RPG set in a desert kingdom of golden cities, sand and palm trees, with actual camels. Described as a “dark, heroic fantasy RPG” it instantly brings Oblivion and even Skyrim to mind in terms of graphics (if not climate!) Controls are smooth, responsive and intuitive. Gameplay on Medium is on the more challenging side of average, after finding the Hideout and leaving it with a companion to explore the city, so far every encounter has been too tough for now. Newbies will definitely want to play on Easy. Fortunately the game autosaves before entering a building, and all the encounters have been inside buildings so far. Gameplay is deep: you can develop both Intimidate and Persuade skills, and doing so will unlock different dialogue options. According to the dev there are multiple ways of solving quests, which doubtless adds to replayability. A 10-15 hour adventure is promised, but for the slower, nook-and-cranny gamers among us, I expect to double if not triple that time. With 200+ unique items it’s a treasure hunter’s heaven, and great for pack rats and hoarders too as there are chests to stash stuff in your Hideout. There are also “hidden secrets” so you’ll want some skill in Perception. 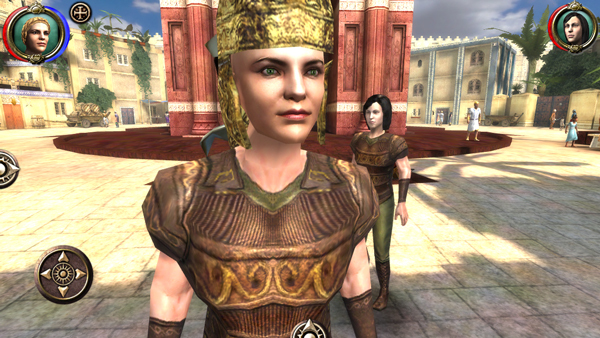 Romance fans can attempt to seduce the four different companions: you choose one to play with at any time, and they can be set in Attack or Assist mode. You can feed them potions but you don’t manage their inventories. There is IAP but it’s totally optional – there are Rogue, Mage and Fighter starter packs – they looked tempting and very good value, but I wanted to experience the raw game and trying to earn some decent equipment. There are also some free IAP items which is nice. The graphics are way more beautiful than many early screens show. My iPhone 5 by default was set to High for Graphics and Textures, and Medium for Lighting Detail. Increasing this gives a performance warning, but so far there are no issues, other than an even more dazzling visual experience – it’s as though the sun came out. The first image here is Medium Lighting Detail, the second High.